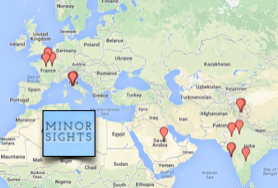 An ethnic neighbourhood of mostly Turks and Kurds, on the edge of medieval Paris. To eat: although you can get döner kebabs (Sandwich Grec in French) all over (touristy) Paris, this area offers the real deal. Ayran on tap? Mais oui Monsieur! All dwarfed by Louis XVI’s impressive baroque triumphal arch, which is a Minor Sight in itself. The beginning of Rue Faubourg St Denis. Map. 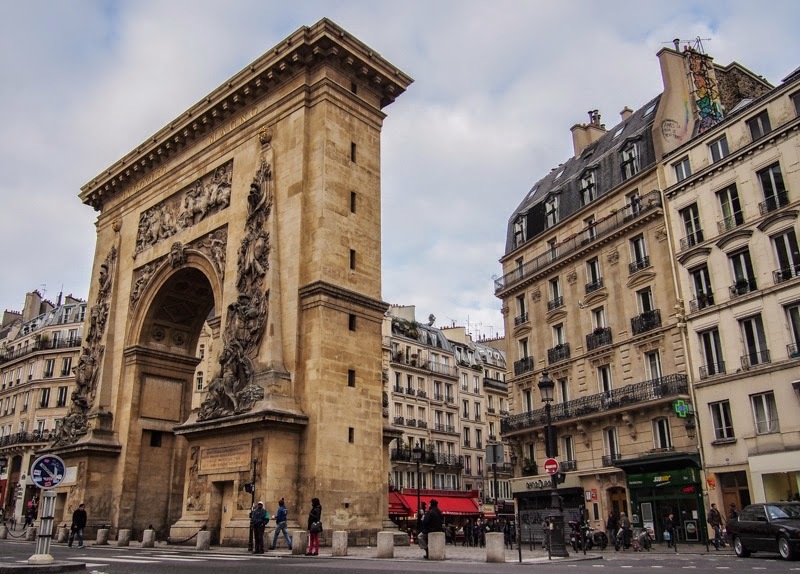 IT ALL STARTS with the grandiose Porte St Denis, a triumphal arch erected by Louis XIV in 1672 to blow his own trumpet about his military victories. The medieval city walls and gates had been razed two years before, although its outline is still visible in the form of the Grand Boulevards. Louis decided to fill the now empty space with this arc de triomphe, well before Napoleon did his 'mine is bigger than yours' at the end of the Champs Elysees. Just in case anybody had missed who was responsible for this oversized door, Louis signed it ‘Ludovico Magno’, Lou the Great, in classy Latin. 'Louis was here'- it sounds better in Latin. 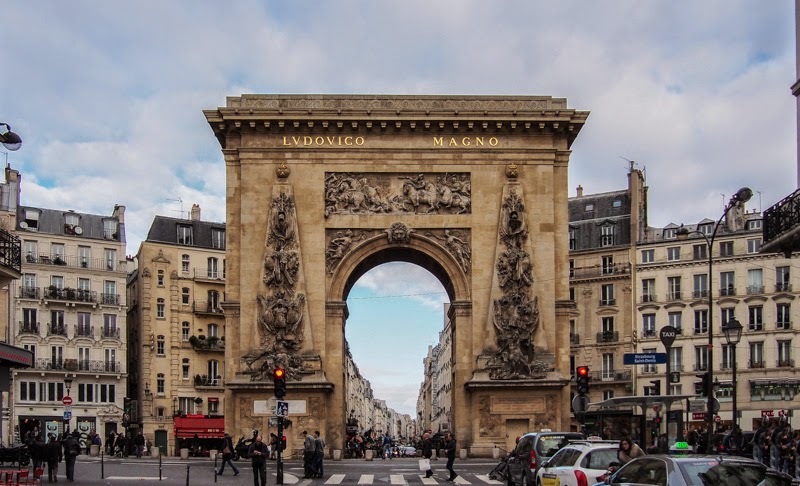 Step through the arch, and you step into the ‘burbs of medieval Paris- which is why the road changes name from Rue St Denis to Rue Faubourg (suburb) St Denis. These days, when you walk through the gate, you step into the small neighbourhood which we have dubbed Anatolia Alley. The two main ethnic groups here are Turks and Kurds, who for one reason or another decided that living in the shadow of Louis’s great arch beat staying in Anatolia and decided to set up shop (literally) here. 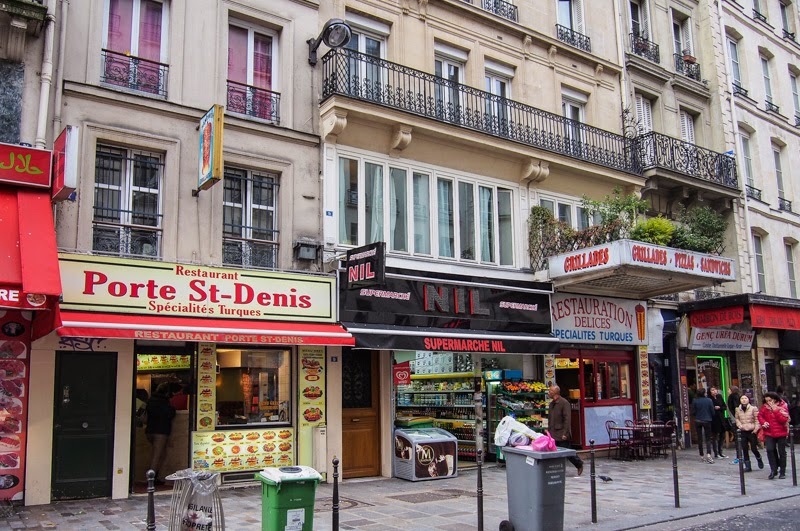 A row of small shops and restaurants lines Rue Faubourg St Denis- and most of them offer Anatolian cuisine that goes well beyond the standard döner kebabs on offer wherever there are hungry tourists or drunk revellers (like in Montmartre). For a cheap and cheerful snack, settle down on one of the low chairs and have some lahmacun- a thin Turkish flatbread topped with meat and fresh herbs, or a dürüm, basically a rolled sandwich. (Tiny Urfa Dürüm resto was listed by Time Out as one of the best places for street food in Paris.) Instead of having beer on tap, some places serve draught ayran, an Anatolian yoghurt drink, although those who are alcoholically inclined will have no problem finding a bottle of Efes, Turkey’s answer to Kronenbourg. 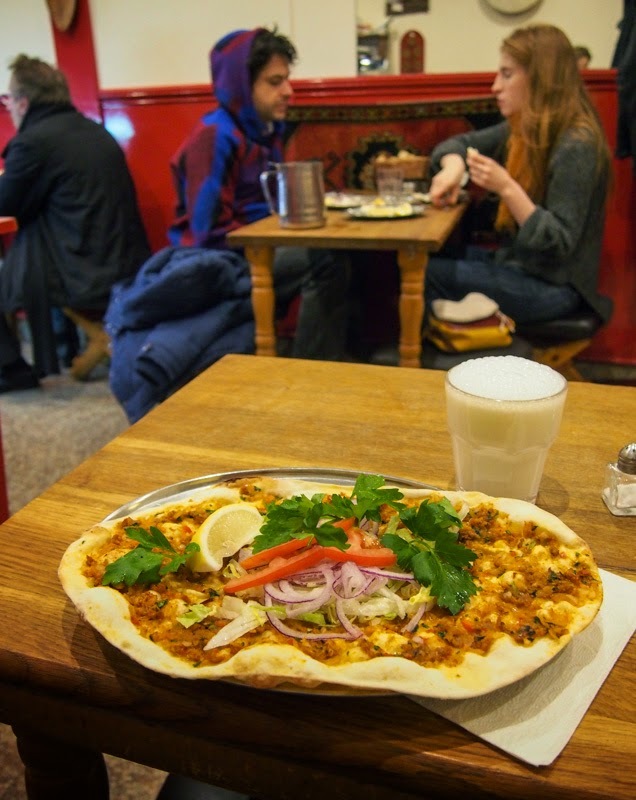 Lahmacun and a glass of draught ayran. There are a few more upscale options to- Derya is good enough that you can bring somebody on a first date, even if your date prefers something more sophisticated than a street-side wrapped sandwich. There are several small shops that will sell you a Turkish tea set in a pinch, or Turkish cheese and olives. Anatolia Alley aka Rue Faubourg St Denis. In the top right corner, a statue of St Anthony shows him feeding a pig, which seems rather odd for a predominantly Muslim neighbourhood. Don’t forget to peek into the many little passages that lead off from Rue Faubourg St Denis- these were clearly all the rage when urban renewal arrived in the 19th century, and each has its own character- including the infamous Passage Brady, the Parisian ground zero for a curry in a hurry. 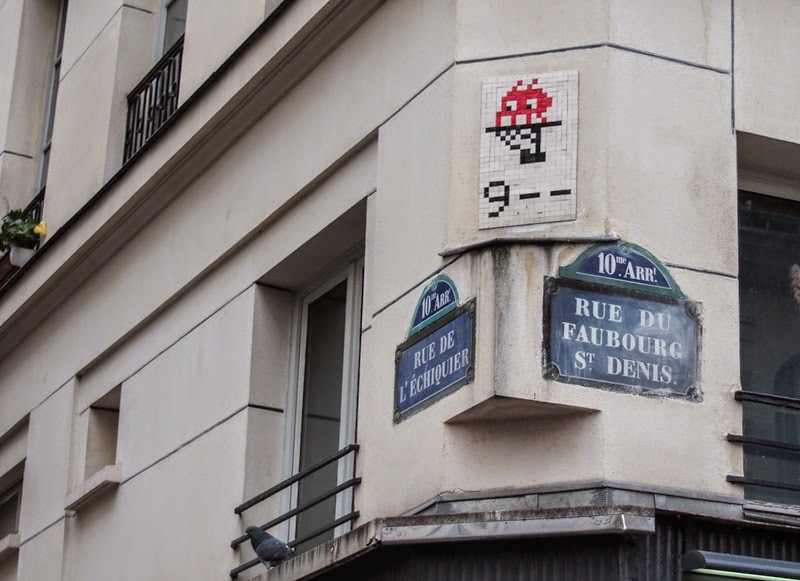 Anatolia Alley features its own Space Invader as well. Metro Strasbourg-St Denis stops right in front of Louis’s gate. 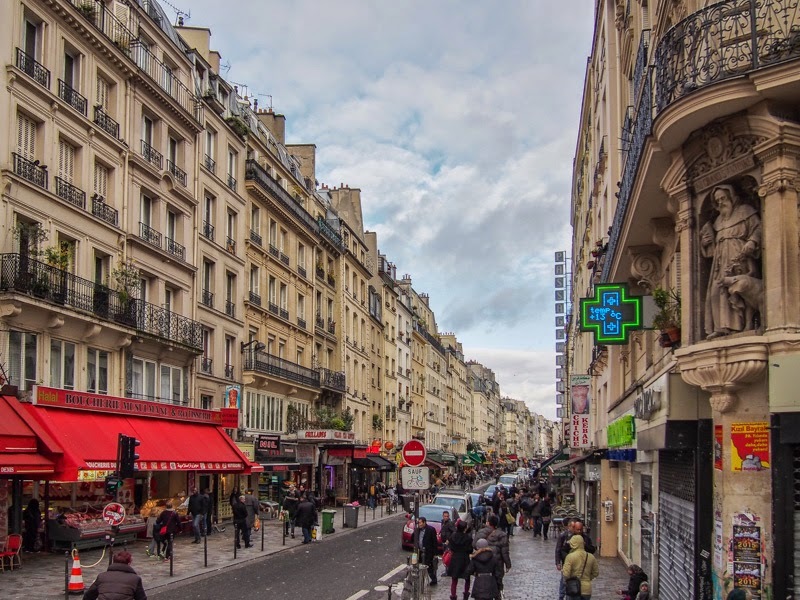 If you continue north along Faubourg St Denis, you’ll eventually end up in Tamil Town, another ethnic neighbourhood that offers a totally different experience.